No matter the road ahead, we help you stand out in the worst of weather. Every time. 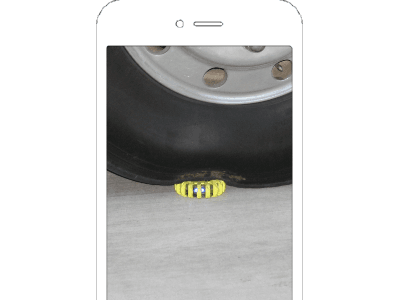 The average pattern-run-time per replaceable $3 battery is 44 hours. Rechargeable units run about 5 years per $7 battery. Compare that to $2 for a 20-minute flare. You'll make your money back and be saving in no time! Safe to handle when operating; use a light that doesn't get hot and can't burn skin, uniforms, or start fires. You have enough on your plate. Don't risk burns and a fire too! Drivers get confused. Especially at night. Don't blend in when your life is on the line. 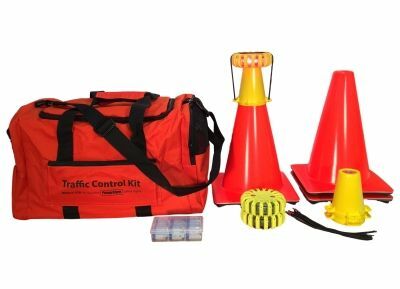 Direct traffic in a clear and obvious manner to keep yourself, your team, and your equipment safe. You're a busy person already, and you have important things to do. Laying out new flares every 20 minutes shouldn't be one of them. We'll stay with you to get the job done. Click the "Find My Kit" button below to go straight to the product-selector tool, which will quickly guide you to the perfect kit for you. Once you've chosen the right package for you, configure it to best serve you, then add to cart to complete your purchase. Use your lights to be seen and stay safe. Rest assured that if your lights break during even the harshest of normal use, we'll repair or replace them. For free. Period. We tested several battery-operated safety lights and chose PowerFlare because it was by far the highest quality. Using it in all kinds of field conditions it never let us down. From high desert to coastal rainforest all of the units performed superbly. We never regretted the decision to purchase them. They were well worth the upfront cost to obtain. Quality matters and when lives are on the line we choose PowerFlare. We have experienced many landings now with PowerFlare Beacons as the Landing Zone markers and have found them to be superior to anything else we’ve seen or used. Recently, during a landing, the pilot reported seeing the beacons flashing from over 5 miles out. They give a dependable, accurate target that is needed when responding to emergency situations. I loaded two PVC pipe bombs with about 3/4 lbs. of commercial-grade C-4. Just wanted to touch base with you and let you know how the explosive test went. I loaded two PVC pipe bombs with about 3/4 lbs. of commercial-grade C-4. The pipe bombs were placed in a travel suitcase with a pair of boots, a pair of Levi jeans and a blanket. The PowerFlare was secured to the top of the suitcase with a zip-tie and turned on. The explosion was initiated, and the suitcase, bomb, and clothes were completely destroyed. The PowerFlare was located 50 feet or so from the seat of the blast, intact and still flashing. The outer shell sustained slight discoloration from the explosion, and the loop where the zip-tie was used to secure the suitcase was torn. We were REALLY impressed! Oncoming traffic stopped where it was set. Last Friday night while directing traffic after one of our local football games, a PowerFlare was run over by a loaded semi truck. The light stopped flashing and we thought it was toast until we picked it up, pushed the button and the light came back to life. That sold us. We also noticed that oncoming traffic stopped where it was set. Worked well for us. We have had problems with our flares on crash scenes going out in heavy rains–when they positively had to work they didn’t. I submerged the PowerFlare in a bucket of water overnight, then took it apart and it was bone dry inside. We tested it in a variety of night time lighting conditions, of course, while being driven over. We are happy to say that the PowerFlare not only met but exceeded our expectations. It puts out almost as much light as a flare but does not go out in the rain or put holes in your pants and raincoat. It took a wicked beating and worked without a hiccup on all settings. Please see our first order for a set of four. More orders will follow as we will be outfitting all our squads with a set. Thanks for a great product! WHAT MAKES POWERFLARE SO DIFFERENT? 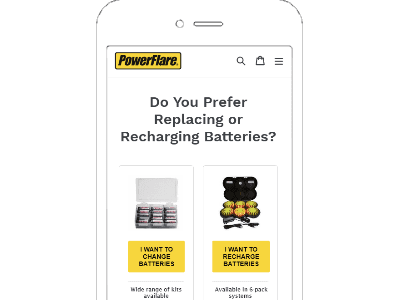 Whether you want to keep your family safe, be seen in the line of duty, or be the most cost-efficient spender, PowerFlare will get you where you want to go. We know how hard your work can be. We know your tools must absolutely work the first time, every time. Our product does just that--rain, snow, hail, and a 40-ton truck won't stop it. You have enough to worry about. Your equipment failing shouldn't be on that list. The PowerFlare was invented by the Office of Emergency Services Director of Palo Alto, a city here in the San Francisco Bay area. He was tired of the smoke, burns, time, and cost of traditional flares, and wanted a safer alternative for his officers. He isn't some inventor in an ivory tower, but a front-line user. The PowerFlare was created by him and his team as they worked to solve these problems, and the process resulted in a revolutionary shift in traffic direction and officer safety. By using PowerFlare you will: 1. Quickly recoup your investment and start saving money to use on other budget items. 2. Prevent expensive fires, burns, and damaged clothing. 3. Stand out in the worst of weather, keeping yourself, your team, and your equipment safe. In the line of duty, we tend to do what’s most urgent and put off everything else. Most officers admit to not using flares when they should, even when policy requires them to. They say it's too much of a hassle and just not worth the effort. Their lives are in more danger because of it. Officers who use PowerFlare lights love them, saying they're quick, easy, and virtually indestructible. They have fewer close calls with motorists, and waste far less time on flares than their counterparts who actually DO use them. Departments who switch to PowerFlare see an increased use over flares and know they're doing their best to keep their officers safe. 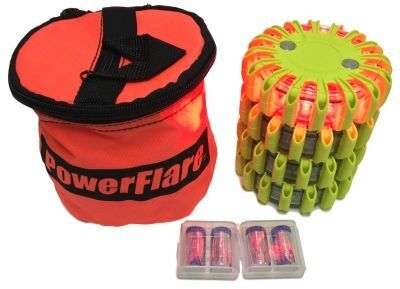 Order your PowerFlares today and know that you're doing all you can to keep yourself, your team, and your equipment safe. Why? Because nobody wants to look back after an injury and wish they had. To get started: 1. Click the "Find My Kit" button below to quickly find your perfect fit. 2. 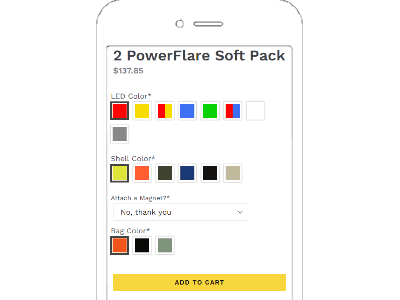 Customize your kit's options to your needs, then complete your purchase. 3. Use your lights to be seen and stay safe. Rest assured that if your lights break during even the harshest of normal use, we’ll repair or replace them. For free. Period. Without replacing your old flares, you waste money and time, risk burns and damaged equipment, and you might not be seen when it really counts. PowerFlare lights will save you money, prevent burns, and make sure you're seen when it counts. 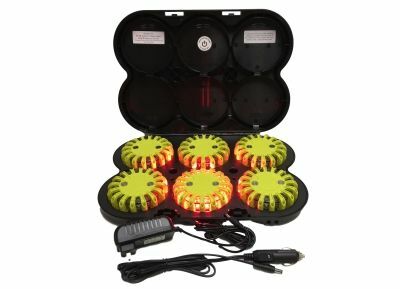 Order your PowerFlare lights today. Even at $2 per flare, an officer going on two 30-minute calls per day, with a three-flare layout, will burn $4380 per year. What if you run out of flares? What if it's raining? What if they burn out or are run over? It happens, and it puts you in danger. How many times have you burned yourself with a flare? How much money have you spent on burned clothing and shoes? Ever had a flare start a fire? Stopping to lay out new flares every 20 minutes is either a distraction and waste of your valuable time, or something that is forgotten, which puts you at risk. We know that your line of work is hard on equipment. That's why you're here, and that's why we offer a no-frills, no-nonsense guarantee. If your PowerFlare lights break during even the harshest of normal use, we’ll repair or replace them. For free. Period. We know you count on our product, and we stand behind it. So shop with the comfort that you can USE our lights to stay safe. We've got your back.